I feel so grateful that I live in the Pacific Northwest. Not to rub it in to those who just experienced another snowstorm or anything, but we have had a gloriously mild winter. And right now as I type this, there are already blossoms and leaf buds on trees. There are daffodils in full bloom. The sun is shining brightly and the temperatures are steadily in the 50s each day. It's spring and I am loving it. It's especially special this year because I have little Hazel to share it with! 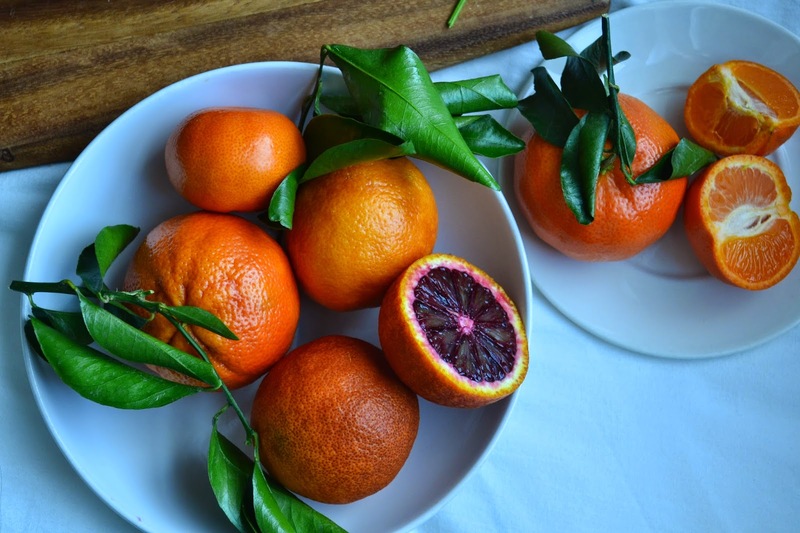 One of the perks of winter is all the amazing citrus that's in season. It's as if mother nature knew that we needed a little extra sunshine and vitamin C, so she grew us some citrus at the perfect time of the year. I love having all types of citrus on hand throughout the winter. Our fridge is always packed with grapefruits, blood oranges, mandarins, and navels. It's funny because I distinctly remember last winter when I was pregnant, I practically ate two grapefruits a day. I was obsessed with them. So to all of you lovely readers who are stuck in the grips of winter still, I've created this salad that's the perfect little bit of sunshine to get you through the last of the cold weather. It provides a boost of all sorts of vitamins and minerals, plus it looks gorgeous on a platter. I'm sending warm vibes your way, loves! I love to eat the rainbow, and this salad looks like the perfect representation of that. Gorgeous.